Google originally made its name as a popular search engine, but nowadays, the Mountain View-based company offers a plethora of well-established apps on a variety of platforms. GApps for Android provides a solid base of highly functional apps for the many millions on the company’s mobile ecosystem, and with Android 4.2 bringing a deluge of new features to the table, it’s only natural those floundering in wait of an OTA update would wish to get their hands on GApps 4.2. The wish of the Android users is, in turn, often the command of XDA-Developers, and member Adi_Pat has packed the updated apps into one flashable .zip file. Details after the break. While you can flash GApps like a normal .zip through recovery, the process of installing Gmail is a tad different. Why? Because while the Gmail 4.2 APK is signed by Google, ’tis with a different key to the one in the Play Store. Step 1: Download the Gmail 4.2 APK from the source link at the end of this guide, and rename it to Gmail2.apk. Step 2: Take a Nandroid backup before opting to remount /system for writing using your favorite file exploring app. Step 3: Remove any other version of Gmail that may be lingering around (check /system/app and /data/app where both the original Gmail files and subsequent Play Store updates are located). Step 4: If your device is already deodexed, then skip this step. If not, you need to delete any .odex files matching the APKs you deleted in the above step. Step 5: Next, perform a reboot, and there should be no sign of Gmail whatsoever. With so many useful apps like Google Talk, Google Sync, Google Maps, and YouTube, it’s always useful to have the very latest versions on your device. 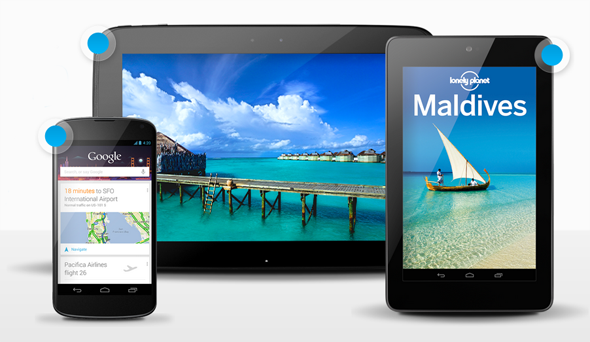 Grab GApps for Android 4.2 by checking the source link below!